A key component to your business success is getting good information that is relevant to you. There's a lot of information being thrown around for personal trainers on how to start and grow their online coaching programs and businesses. The majority of it is leaving most confused and overwhelmed. Am I right? So with this upcoming interview series on my Fitpro Masterclass Podcast, I'm not chatting to some business guru's who revel all their tips that mean nothing to you right now. Nor am I getting on people with hidden agendas that simply want to plug their new products. Instead the interviews will feature my Masterclass students, that share their personal stories, current struggles and goals, so that I can provide them the right information at the right time, that is personal to them. So if your goal in 2017 is to create or grow your online fitness business, this brand new podcast series is going to be a gold mine for you. This weeks show is with Masterclass member, Chris. In this episode I help Chris set-up a simple sales funnel to gain his first online clients, harnessing the power of sales calls and live events, which are the two most powerful conversion tools out there. Ru: Let me know what you are currently up to, what's the day in a life look for you right now.? Chris: Well, I'm still doing the day job and again just working on a lot of stuff in the Masterclass. I haven't really been as active on it because I've been working on all this stuff in the background right now. A lot of writing, kind of like just getting myself in the right headspace for obviously next year, for when I'm ready to go. Actually today I got paid, so I'm going to go and purchase the Thrive Themes and I'm going to be straight on that over the next couple of days. I'm also looking to do the Facebook ads to the form, to then the call for some online coaching. So that's going to be the next thing as well. Ru: OK. So the wheels are in motion now, after probably studying and looking at a lot of stuff, and just watching? Ru: That's not always a bad thing. I spend quite a bit of my time watching and studying as well. And there's nothing wrong with that providing it does turn into some action. I think being in the Masterclass, you're in the right place to watch and to then take some action, plus get the help with it as well. So that's cool. So the goal then is to really get this up and running for the New Year and go full steam ahead. What's the big goal Chris? Has it changed since we last hashed this out? Where would you like to see yourself in 12 months, 24 months time when you get this ball rolling? Chris: In 12 months I would like to be in position where I am full-time coaching and given up the day job by that point. Giving up the day job is a big goal for me because I hate doing the night shifts. I'd also want to have a regular, predictable income coming in every month, so I'm not chasing my tail every month. I want to be in a position where online coaching, 1-2-1 coaching, high-ticket coaching, but also a forum based thing will bring sustainable income. So a mix between those two I suppose. Ru: OK. Cool. So have you got any ideas on which avenue you'd like to go down initially? Because it's nice to say, okay I'll do the high-ticket coaching, 1-2-1 stuff or get the group coaching set up. But it's difficult to do all of that at once. Have you thought about which avenue to go down first or what would you be more inclined to do? Chris: Perhaps the high-ticket stuff, but the thing that I am concerned with is that I won't have a lot behind me at that point. I won't have much 'know, like and trust' at that particular point. I'm working on the blog right now and there won't be so much content on it but a few pieces. It won't be as though it's someone who's been out there for ages. Ru: Yeah, the funny thing is I find that sort of experience or maybe it's more called reputation that you would have or a following audience. I believe that a group type program is going to work better if you actually have an audience. The way we would typically sell a high-ticket program is actually quite different from how we would sell a group program. A group program, which is a one to many coaching the marketing and sales should be done one to many too. So whether that's from email marketing, sending a lot of emails to your email list or through a big video series or webinars, which you know I'm a big fan of. That's when you're selling one to many there. And to me that isn't easy. It's not easy to do because there's not many close touch points as with selling high-end coaching. So you're better off getting on the phone with all prospects and therefore they don't need to know you a huge amount about you to be able to quickly build up that 'know like and trust'. That's why the sales call and application form set up comes in place with the high-ticket consulting. So you can build that 'know like and trust' really quickly, as you spend half an hour on the phone with someone who's maybe downloaded something for free off you before or seen your Facebook ad. The one to many coaching it a little bit less hands on and intensive. Each has their pros and cons but, and I know it seems a bit weird to say, the high-ticket, more expensive coaching is the easiest way to gain your first online clients. As opposed to having to get your marketing set up, learn how to write great e-mails or getting a blog following. Instead you can literally say 'here's what I've got, here's an application form to learn more about it'. People will fill it in, you get on the phone with them and that can work really really well. So if you've got these few ideas and you're in the position that you are, I would go down the high-ticket, application based online coaching to begin with. What you'll find then is that you're going to get your first few clients very easily using this simple funnel, which I'm sure you've seen inside the Masterclass. That's the fundamental components and they work. My one to one guys I'm working with are setting this up and getting their first online clients in the first couple of weeks. But we also know its limitations and we want to try and expand that out as much as possible. As you do that, slowly you'll find that you're actually building out something that's going to work well for the group coaching as well. You're building an email list with the free give-away and you're creating the resources for your personal training clients, all of this will also work in a group program. I find it's like a evolution type thing. I think this is where you should start and by all means within the year you could easily have the group coaching set up. But high-ticket coaching is where I would suggest you focus your energy and attention to begin with. Chris: Ok. It's quite strange at the moment because I've actually had a meeting with a guy yesterday. He runs a personal training studio, he's someone I used to speak to about a year and a half ago. He just wanted to chat and catch up and we where discussing what we're doing etc. He wants me to do nutrition seminars for him and his clients. So again I thought this is something I can do as well in the background. It would be good for building content, I could film it and put it on the website or generate some other content from it too. But I don't know if that's something to do or not. The other thing is my niche, I'm not sure people would recognise it. Ru: OK. What's the niche? Chris: The niche is 30+, men, very stressed, can't get the results they want. They want to be like they were in their 20s and they don't know how they got to the point - 'I'm overweight, I'm stressed out, I'm overworked' and all that kind of lifestyle that's starting to get to them, the on the go lifestyle. And my friend said, 'I don't think that would probably work because people don't want to admit that, they don't want to connect with that, they just want to train and lose weight. They don't think about stress and things like that.' So that led me to little bit of confusion, am I looking down the right sort of niche online? I don't know. Ru: Okay, well that's just coming down to a bit of research that you need to do around your niche. Have you looked into other people or companies that are offering a solution similar to what you would like to do with that avatar and niche? In terms of, is someone else out there who is talking about this with guys and can you see that people are engaging with it? Is there products and services around to help with that solution? Have you done that? Chris: Yeah. There is as couple of people. There's one guy who works exclusively with 30+ men. He does a bootcamps. And there's another guy at the moment, not sure if you heard of him, Paul. Ru: Yeah I know Paul. Chris: He's doing a lot of stuff with guys that are stressed and lost their way in life. Ru: He is now isn't he. Chris: This is stuff I was thinking about like months and months ago. Guys who are starting to lose their way with stress and life. I know there are people like that. I speak to all my friends and they're just like 'I don't have time to go to the gym and I'm stressed and I'm all these sorts of things. I had it myself, like anxiety issues. I then started checking my stress levels and for example using the sauna rather than doing a high intensity class. I slept like a baby afterwards and my sleep improved, my diet was getting better. Then after that I was able to really hit the gym hard and start getting results again. So I believe we should really be looking into recovery as opposed to just blasting people with diets and heavy exercise regimes. Ru: Well, I think you've validated your idea well and truly and I don't think one person's comment should derail you. You know that's a mindset thing. You are keen and have an interest in that, it suddenly came across from you talking to me about it. You can feel that interest and passion coming through there. So yeah I think you have validated your idea and don't let that one comment put you off. Coming back Chris to you talking about the presentations you were saying, is this a good idea, is this something I should do. This is something that I did very early on within the first year of setting up my own online business. I could see a lot of value in giving presentations. One of the first things I did was put together a quite a long presentation, as I decided to do a half day seminar type thing. So it was about three or four hours worth of content which was quite a bit. But it was really simple with just some text on the slides and I spoke on for four hours, based on the things that popped up on the slides. After presenting it for a year I got very good at it. But what I did find Chris, is that it's difficult to transition online and like I said to make that personal connection with people. That's why I said phone calls were great at doing that very quickly. But the presentations can be great for filling in that gap between you and the potential clients. And I always found even without really pushing for the online coaching I was doing, that people reached out to me afterwards. They say Ru, I heard you mention coaching how do I go about becoming your client. I didn't have to do any selling. I literally give that presentation and that was really powerful for me. I would give a presentation to sometimes 10, sometimes 20, 30 people in a in a gym and like you said it was best with these independent gym owners as the people there are really interested in that side of things. I would reach out to the owners of those gyms in my local area seeking out people online, connecting with them on Facebook. I would ask them if they and their members would be interested in me coming along and giving a presentation for a couple of hours. That's a fantastic way. So yes by all means jump on that and you will find that you'll get clients on there. Last year I wasn't able to go and do seminars due to traveling. I had to turn down speaking gigs at some of the big fitness expos but I've been running webinars all this time. And that's a very similar set up. I give a presentation for an hour and then I tell people about how I can help them more. I think that when you give a lot of value, create as much personal interaction as possible and then ask for a sale or show people what you've got is a fantastic model. Chris: Would that be something a little bit rude to do if I'm in his studio talking to his clients, giving a presentation and then going 'hey you know I'm available for coaching'? Ru: You would have to find out whether or not he is comfortable with nutrition coaching. Chris: Training is his speciality. I've got a degree in nutrition that's why he wanted me to come along do the talks. Ru: Yeah, well like I said, even if you don't pitch your services to people at some of these presentations, they're going to find you. Give them a way to find you, even if it's just a little card. I don't normally recommend them but it would be cool here. And you will find that they start reaching out to you when you provide a lot of information and value that solves their problems. So that's cool. Yeah. Chris: Okay. He want's me to propose a few things to him over the weekend so I was just thinking one a month kind of thing based on a particular topic. So, January would be great for a detox topic or something like that. Then every month just picking another topic which would be an hour or two. That would also be great for me, getting in front of people, speaking, engaging, not just being behind the keyboard. I think this is something which if I could get right could be advantageous. Ru: Yeah, and something I found from giving those presentations, which I did before I started podcasting or webinars, before I wrote my book, that it was great for creating all of the content that was going to serve all of the stuff that I've created since. It really helped me with my confidence too, because speaking to even just a small group of people is scary. It's nerve racking, right. So that helps with your confidence, which then means you're getting some practice and it helps with the online side of things too. You may start reaching out to a podcast host and if they don't mind you coming on and touching on this topic for half an hour. You'll be well versed in it because you've given a presentation on that topic before. Another great thing is that you'll find some content or certain pieces of a presentation that people are really interested in. I've done that in the past, I'd put a slide up with butter, coconut oil or supplements and people would get really engaged and interested in the topic. Seeing all this engagement with the live seminars and the presentations and I literally then took some of those popular topics and put that into content online. I would create a short video with the slides that I use in my actual presentation and talk over that bit for 5-10 minutes. I'd then stick it on YouTube, post it on my blog, and put it out on social media. I chopped the best bits from the talk and put this content online and it started to generate an audience and engagement online. So definitely get amongst that if you have the opportunity to do so and use that first presentation as an accountability factor to putting together information. Once you get over that hurdle it's easy. Chris: Yeah, it's definitely something I'm going to pursue and move forward with. Ru: OK. Cool, Chris any other questions that would like to ask me here? Chris: No, I thinks that's pretty much it. Just following from our conversation, the couple of those ideas, and little bit of doubt if I'm perssuing the right avatar, and no I think that's all squared. So the Mastermind is still going ahead? Ru: Of course. I can't wait for it. It's going to be amazing. It's going to be really really good. We've pretty much got all slots filled and we're going to be scoping out some nice places to Mastermind in and to chill out in as well on the evenings, which is going to be really cool. It's going to be fantastic. Chris: Yeah, it sounds great. I can't wait. Ru: I know, I think there will be some more of the meet ups l coming soon. I'm looking to maybe get something a bit bigger organized as well. Watch this space. Chris: I'm loving the Masterclass as well at the moment. I mean it's just so much stuff on there. Right now it's giving me so much focus and direction in terms of what I'm doing. Even doing the lead magnet in Canva, I would never have known, just something silly as that. It's helped me to become more creative which is brilliant. Ru: Yeah, the Masterclass has been something I've just 100% focussed on this year and so it's nice to get that feedback, I appreciate that. And we've got some great things to come for it next year as well. Simple innovation is my big word for 2017. 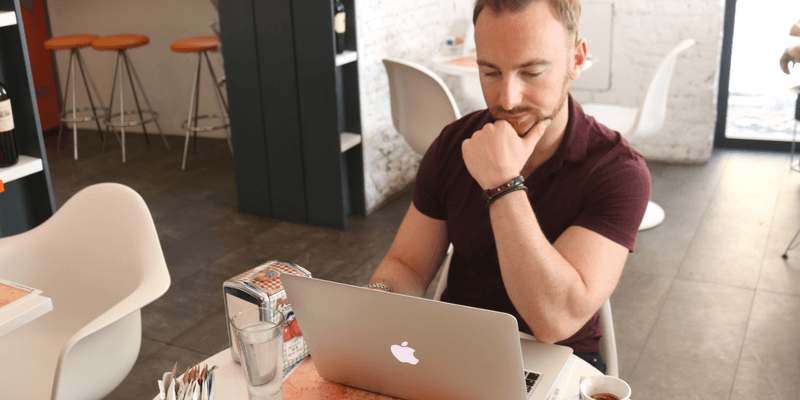 Chris: Yeah, actually when you say simple, I'm working on some blog posts to do with how you actually create success and I bolted it down to three things: consistency, simplicity and effort. Ru: Yes, I think they are the three words of success in anything, whether it's your health and fitness, whether it's in business, whether it's relationships. Put some effort in it and be consistent with it. All right cool man, I'll let you crack on. Thank you very much Chris and of course keep me up to the inside the Masterclass with your progress, what you're up to, if you need any support any help. You know I'm there to help you. Chris: Will do, brilliant. It's great, fantastic little Masterclass you've got going on. Ru: Thank you man. Thank you appreciate it. And I'll speak to you again soon.